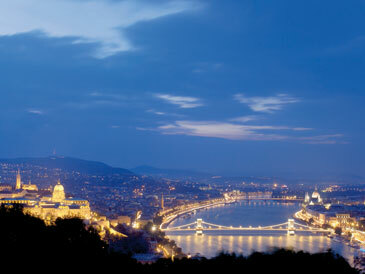 Anjou Residence – Budapest, Hungary The area around the castle on Buda’s Castle District is one of the most popular residential districts in Hungary’s capital city. The exclusive residential complex Anjou Residence was developed in 2005 and carefully matched to the architecture and the planning structure of this medieval district. The challenge of integrating a modern and magnificently outfitted residential complex into one of the historically richest neighbourhoods of Budapest was met masterfully by Hungarian architect Antal Puhl. 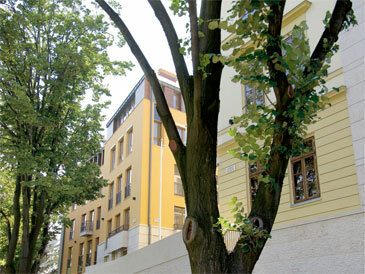 The modern residence is located on both sides of Orszagház Street, with a view onto the park around the bastion of Anjou that also provides the name. Each of the six-storey buildings accommodates 52 luxurious residential units. The buildings are connected by a subterranean corridor. The heritage-protected remains of the castle wall from the Middle Ages were elaborately integrated into the architecture of the apartments and inner yard and give the Anjou residence its historic flair. Yet it is not only the external appearance of the buildings that is in tune with the splendid historic Castle District. A lot of attention to detail was applied to the interior decoration, too. 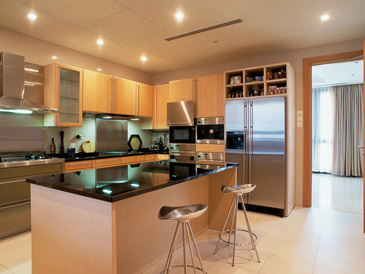 The 52 apartments vary in size and layout but not in the quality of the interior design. 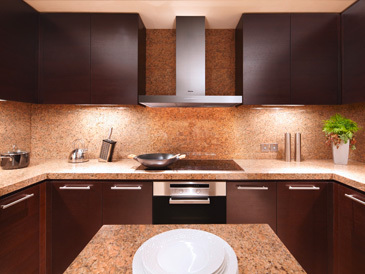 Only the finest materials were used such as natural stone and real wood flooring, to meet the demands of the residents. In the elegant kitchens these ideas are continued by the Miele appliances: a perfect combination of high quality materials and sophisticated technology. Building owner: BGH Hausbau KFt., BHG Beruhézó Bt. 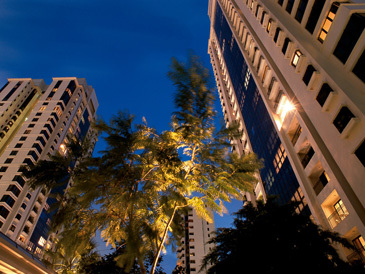 Ardmore Park – Singapore The elite of South East Asia lives a good life in the magnificent apartments of Ardmore Park. Living here means to enjoy luxury beyond belief – even in the kitchen. 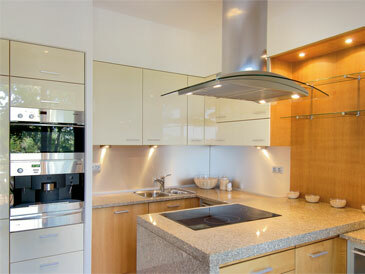 Thanks to a variety of built-in appliances by Miele the kitchen becomes a real temple of pleasures. To this day Singapore is still influenced by its history as a crown colony and commercial harbour of the British East India Company. Colonial architecture like the Presidential Palace Istana meets modern complexes and high rise buildings with their glass façades. Singapore is known for this prestigious and diverse architecture but the desired development areas are becoming a rarity in the smallest state of South East Asia. The “Ardmore Park” apartment complex with its 32,000 sqm only exists thanks to a fortunate coincidence. In the mid-1990s the area of “Ardmore Park” was permitted to undertake redevelopment measures and was completely rebuilt with only one goal: to create a first-class luxurious residence. Today, three towers with 30 floors each stand proudly on this wide area. Each tower has 108 apartments with 268 sqm and two penthouses with more than 800 sqm with an elegant marble entrance. The promising start continues inside the luxury apartments. Elegant materials, exquisite furnishings and sumptuous details provide quality of life. The kitchens are equipped with almost the entire spectrum of built-in appliances by Miele and promise precious indulgences. Burj Khalifa – DubaiA mixture of skyscrapers and low-rise, traditional Arabic architecture dominates the skyline of Downtown Dubai. In the middle of the district is a large, man-made lake which contains one of the biggest fountains in the world, with water jets of up to 150 metres. And it’s not just here that Downtown Dubai impresses with sheer magnitude – directly on the water’s edge stands the tallest skyscraper in the world. 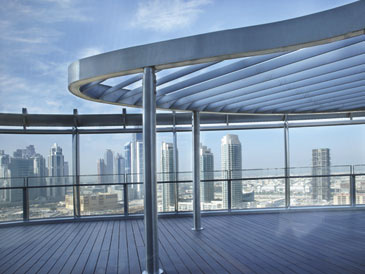 On 4 January 2010, the Burj Khalifa, named after the emir of Abu Dhabi and the president of the United Arab Emirates – Sheikh Khalifa bin Zayed Al Nahyan – was declared open and immediately broke several world records; tallest freestanding structure, building with the highest outdoor observation deck and building with the highest elevator installation are just a small selection of this giant’s conquests. The Burj Khalifa is supported by 192 piles buried up to 55 metres in the ground. The latest developments in wind engineering and structural engineering were incorporated into its design, as were the most advanced building systems, materials and construction methods. The Burj Khalifa is a vertical town; in addition to the outstanding Armani Hotel Dubai and the Armani Residences, the tower contains over 185,000 square metres of living space and almost 30,000 square metres of offices. 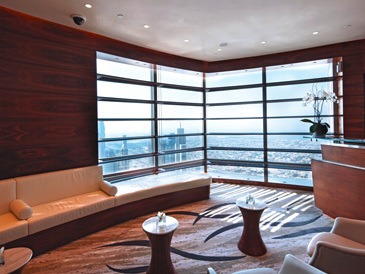 There are also luxurious spas, fitness areas, clubs and gourmet restaurants, as well as a breathtaking viewing platform, “At the Top”, on the 124th floor. The Burj Khalifa is equipped with numerous luxury brands, including Miele: 7,650 Miele household appliances, including ovens, hobs, cooker hoods and washing machines, are part of the Burj Khalifa – the tower where only the biggest and best will do. ©2018 Miele Limited. All rights reserved.